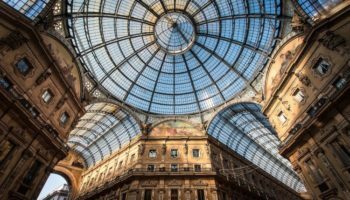 Whether you’re fascinated by fashion, visiting on business or just enthralled with Italian culture, Milan is a fantastic home base for all kinds of getaways. You will love that the city is home to world-class museums, breathtakingly beautiful churches and vibrant central plazas. 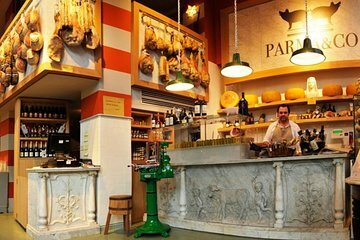 For those interested in the modern culture, there is no end to incredible eateries serving up Milanese specialties, and the nightlife is some of the best in all of Italy. 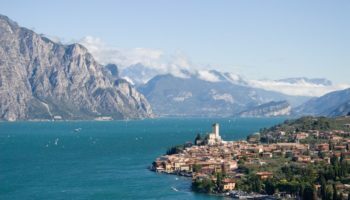 As your base in Northern Italy, you will be in a prime position to set off on day trips from Milan to each of the following destinations. Head east of Milan for two hours, and you’ll wind up in the city of Turin, in the region of Piedmont. Home to the Italian royal family, Turin is perhaps not as famous as many other Italian cities but the setting is pleasant with the Italian Alps visible in the distance. 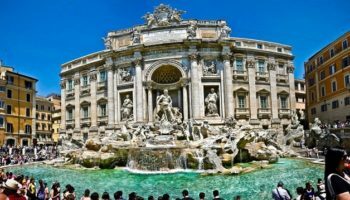 You should visit the former royal residence called the Palazzo Madama, and tour the opulent rooms filled with Baroque furniture, gold details and lush tapestries. 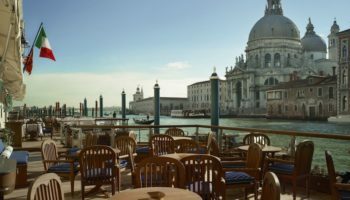 Dine at one of the upscale eateries located in the Piazza Carignano, and then head to the many bars and lounges located next to the banks of the River Po. 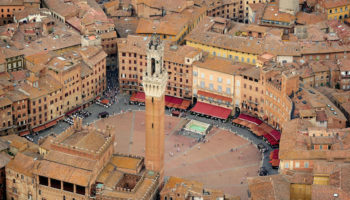 If you want to do some souvenir shopping, but can’t afford the upscale boutique prices, then swing by the Porta Palazzo street market instead. In less than an hour, you can travel to Pavia, making it an ideal day trip from Milan. Once you’re in Pavia, you’ll be able to take things slow, soaking in the medieval and Renaissance architecture as well as the vibrant outdoor markets. A highlight of any visit to Pavia is a walk across the Ponte Coperto, a stunning bridge that provides you with great views, and equally great photo ops, of the city. Then, make your way to historic landmarks like the Basilica San Michele Maggiore, the Duomo Di Pavia and the Basilica di San Pietro in Ciel d’Oro, three incredibly important religious structures in the heart of the city. Right outside the city of Pavia, you’ll want to check out the Certosa di Pavia, a 14th century abbey that also serves as one of the most notable buildings from the Italian Renaissance. To the northwest of Milan is Lake Maggiore, a body of water that also happens to be the longest of the Italian lakes. This is one of the most relaxing, scenic and attractive spots in the region, and the size of the lake means there is no shortage of coastal paths, restaurants overlooking the water or beautiful views to choose from. Hop on a ferry that traverses the lake for a unique perspective on the landscape, or admire the gorgeous gardens of the Villa Taranto. 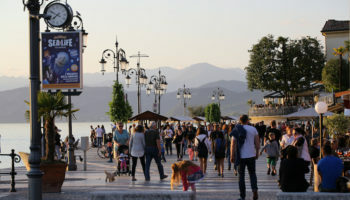 If possible, spend some time in the many weekly markets of Lake Maggiore, where you can shop for souvenirs as well as tasty fresh produce and homemade culinary delights. Cinque Terre translates to Five Lands, and it is made up of five smaller coastal villages on the Ligurian Sea. 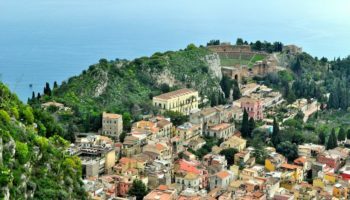 If you want to explore stunning scenery and hike on amazing trails overlooking the water, then there is no better day trip from Milan. The paths are often steep, but the rewards are the often-secluded beaches, the traditional fishing villages and the amazing restaurants waiting for you in the towns of Riomaggiore, Manarola, Corniglia, Vernazza and Monterosso. Indulge post-hike with a refreshing swim in the sea or a meal of baked mussels in fresh herbs. Head south of Milan for about two hours and you’ll reach Genoa, a port city with a rich history and a splendid historic center. 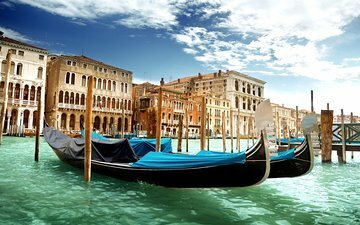 Don’t miss world-renowned museums like the Museum of Fine Arts in the White Palace, the historical picture gallery housed in the Palazzo Reale, the Museum at the Prince’s Palace or the Ligurian Archeological Museum. 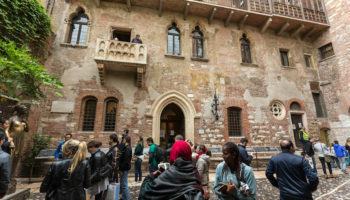 You can also see the former home of famed explorer Christopher Columbus, and you won’t want to miss a stroll along the Corso Italia, or the main pedestrian promenade of Genoa. Foodies will want to try local foods popular in the region, such as pesto, which originated in Genoa, or focaccia, a bread that can be flavored simply with olive oil and salt or as a full meal with ham, cheese and sliced tomatoes. Just 90 km (55 miles) north of Milan is Bergamo, a smaller city that rests at the foothills of the Alps. As such, Bergamo is a scenic town, as well as a must-see spot for lovers of architecture. Bergamo is essentially two distinct cities: the Città Alta, or upper city, is encircled by walls from the 16th century, and the Città Bassa, or lower city, is decidedly modern. 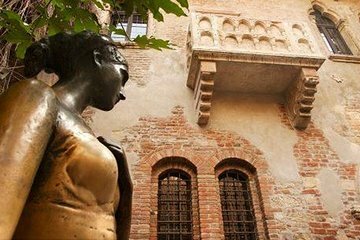 Most visitors will want to spend time in the Città Alta, home to the Piazza Vecchia, or the heart of the city where architecture dates back to the medieval and renaissance periods. For the best views of the city without a hike, ride the funicular up to the Città Alta, where you’ll be treated to mountain scenery and unparalleled vistas. Thanks to the convenient location of Milan, day-trippers can even head over the border into Switzerland. The Swiss city of Lugano is a mere hour’s drive north of Milan, and it is the only Italian-speaking canton in the country. The lakeside destination is beautiful, and the abundance of palm trees and blue sparkling water gives it an almost tropical atmosphere right at the base of the Alps. In Lugano, you can ride the Monte San Salvatore funicular to take in beautiful views, or you can stay closer to the water and swim at one of the beaches on the lake. 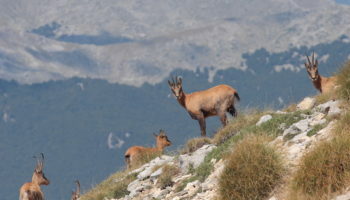 Hiking and mountain biking are also popular pastimes, with the trails of Mount Brè being ideal for both recreational activities. Boasting mountain views, crisp air and blue waters, it is easy to see why Lake Como is the epitome of Italian scenic beauty. Thousands of visitors from around the world flock to Lake Como, making it a playground for celebrities and tycoons alike. The lake itself is a major attraction, with many people choosing to spend their days sipping cocktails or tanning on yachts moored in the water. You could also spend your day trip in Lake Como touring Villa Carlotta, hiking one of the trails along the banks of the lake, riding the hillside trolley for spectacular views over the water or tasting gelato in the town of Como.